Three minutes. 180 seconds. It may not seem like a long time, but there is A LOT you can achieve in such a short period of time. We’ve looked at some of the most unbelievable things people have achieved in this timeframe, and, as it turns out, there have been some very interesting world records broken. That’s exactly what Footballer, Alan Shearer did in April 2017 when he broke the Guinness World Record for “number of selfies taken in three minutes” at Newcastle School for Boys. You might not expect a footballer to be the prime candidate for record-breaking selfies, but Shearer’s not afraid of a challenge and stepped up to raise awareness and funds for The Alan Shearer Foundation by taking 134 photos of his own face! 2) Eat A LOT of chicken nuggets! 746 grams worth to be precise. That’s the world record amount of chicken nuggets eaten by Thomas Welborn in London in June 2017. We’re not sure exactly how many that is but we reckon it’s somewhere between 45 and 50, let’s hope he had some ketchup nearby! 3) Go nuts for doughnuts! In May 2017 Kevin “L.A. Beast” Strahle broke the world record for eating the most powdered sugar doughnuts in three minutes when he managed to chow down on a total of nine! He’s not known as the ‘LA Beast’ for nothing. Dinesh Upadhyaya from India holds the record for peeling and eating the most oranges in three minutes when he managed to get through seven in January 2017. That’s one way to try and get five-a-day. If you fancy something a little more challenging, you could attempt to break the world record for most baked beans eaten with a cocktail stick in three minutes, but you’d have to beat David Houchin who managed 166 in January 2016. Perfect for when you just can’t find a fork. It’s always good to push the boundaries, and that’s exactly what Ashrita Furman did in 2013 when he inflated 28 balloons using his nose in just three minutes! What a party trick. 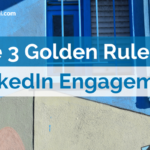 By investing just three minutes per day to your social selling strategy you can achieve 40% more upsells and increase your sales pipeline by 52%. 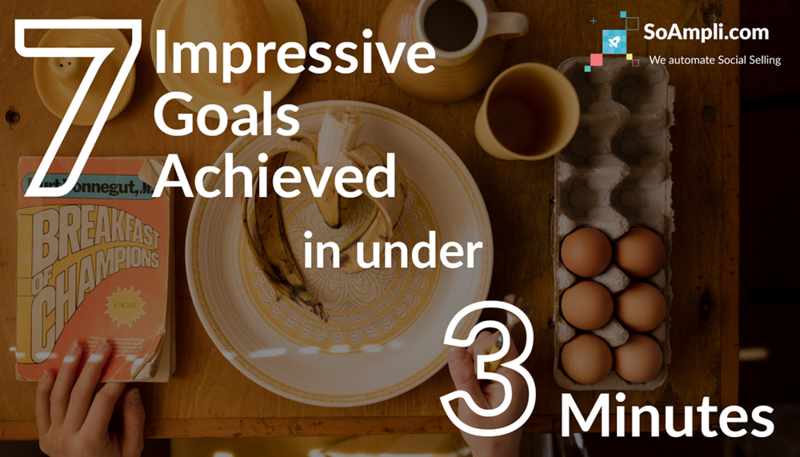 It’s also great news for marketers, as SoAmpli users report 12 times more engagement with their content and a 325% increase in content shares! As our lives get busier and more cluttered, it can seem daunting or sometimes even impossible to imagine adding anything else to your daily schedule. SoAmpli removes the mystery behind how social media can help salespeople achieve more with minimum effort. Our automated platform takes the pain out of sourcing and sharing genuinely helpful content that will add value to your prospects and help you grow your pipeline. By making it easy for marketing and sales to work together, we’ve helped clients around the world get more out of social selling, and all it takes is just 15 minutes per week (or three minutes per day). Get in touch and find out how we can help you change your social selling routine for the better! 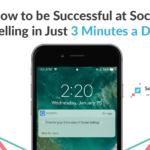 If you’d like to see what you can achieve in three minutes, visit SoAmpli or book a demo to discover how you can help your entire sales team sell more on social media!